Never too much of classic! 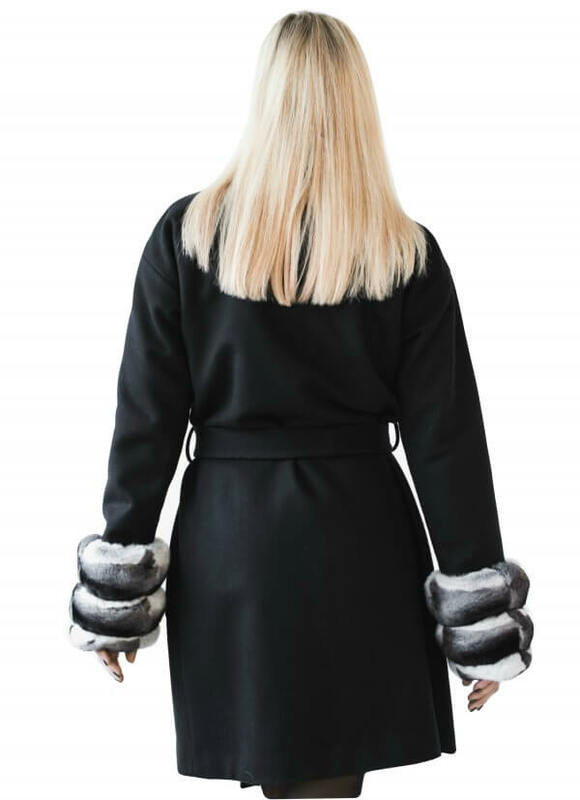 Wrap up in a warm, wool blend coat with luxury, genuine chinchilla fur detachable sleeves. Designed in an oversize fit - a stylish way to cover up from the cold weather! For everyday, wear it without a belt, but when You need more gripping look - belt it! Absolutely natural silk lining will let You feel comfortable, warm in winter, but cool during the warm seasons. Just take it!